Newland Films is run by husband and wife team Dave Maybrick and Toni Staples. At the moment we are making short films that interest us, with a view to making feature films in the future. Finding funding is the toughest part of film-making, but long before you need the funding, you need to have a script in place. The next challenge is casting and crewing your film; it's key to surround yourself with talented, capable, and loyal people. The actual shooting part of the movie-making process is tiny, it's all about pre and post production. The following pages are a little about us, what we've done, and what is in the future for Newland Films. A.K.A has been selected to screen at The River Film Festival in Italy. 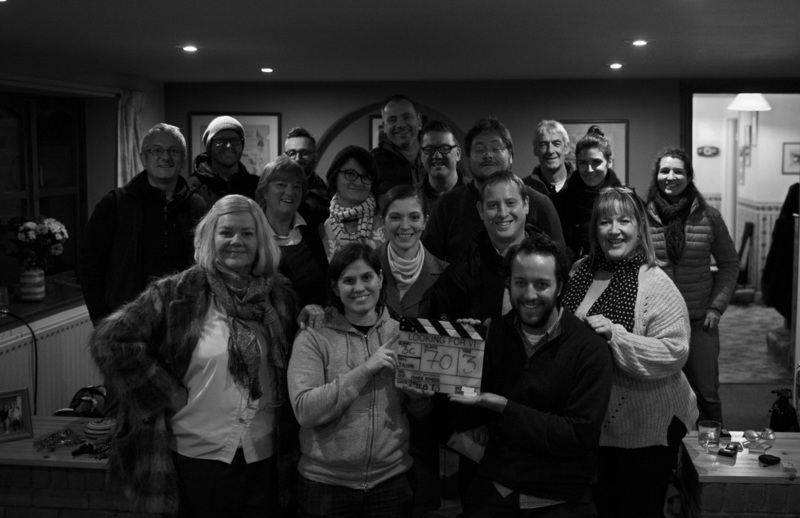 The cast & crew of "Looking for Vi"